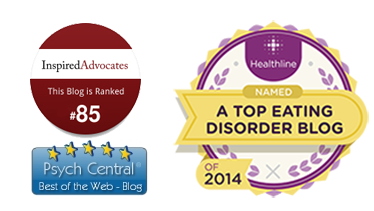 In eating disorder treatment, timing matters A LOT. Effective treatment requires different ingredients at various stages of recovery. Certain ingredients are essential at the very beginning of treatment but matter less towards the end. Conversely, some ingredients are unnecessary in the early stages of treatment but crucial later on in the recovery process. To the patient’s detriment, many clinicians do not add the right ingredients at the right times in the right doses. For example, many individual therapy approaches focus initially on helping the patient develop insight and motivation to recover. Full nutrition is not required, or even encouraged, until the patient has lost a significant amount of weight. Many clinicians are simply using the wrong recipe. In conclusion, the essential ingredients of successful treatment change considerably from beginning to end. The one ingredient that remains essential throughout the course of treatment and beyond is full nutrition, full time. Medical monitoring is essential at the beginning but somewhat less important towards the end. Certain intangible factors, such as patient insight and motivation, are unimportant in the beginning but essential for independent living in recovery. It is human nature to concoct theories in attempt to explain various phenomenon. As human beings, we have the capacity to problem-solve, to think critically and creatively about issues which impact us. For centuries, people have constructed theories as a means of “making sense” of things. The need to create theories arises most often when the reason or cause of an event or circumstance is not readily apparent. For example, in ancient Greek mythology, the god Apollo rode his chariot across the sky every day, carrying the sun from east to west. Now we have modern science to explain the earth’s rotation on its axis every 24 hours, thus creating the appearance of the sun moving overhead from east to west, so the myth of Apollo is no longer necessary. In modern times, science has replaced mythology and theory as our means of understanding various phenomena. While modern science has helped us understand many phenomenon, we still do not know what happens to us after death. This explains the popularity of major world religions which offer theories to answer these questions, such as heaven in Christianity or reincarnation in Hinduism. With the advent of better science in recent decades, we have learned that parenting style plays no role whatsoever in the development of autism nor schizophrenia. While the precise causes of these brain disorders are unknown, we do know that autism and schizophrenia are neuro-biological disorders with strong heritability components, and that the patient’s parents can be extraordinarily valuable resources in treatment if they are given the right professional support. While our current understanding of mental illness is in its infancy, recent scientific research has shed some light on factors that influence the development of mental illnesses. We also have some scientific data demonstrating that certain types of treatment are more effective than others for certain populations. In light of our current understanding of the etiology and effective treatment of mental illness, I am profoundly disappointed when I read about well-meaning but misinformed psychologists who cling to antiquated theories of mental illness and practice antiquated treatments. This theory has a familiar odor. It reeks of refrigerator mothers, castration anxiety, and unconscious conflicts. In 1950, this was all we had. But now, in 2011, we know so much more. Why do some psychologists cling to antiquated theories which have been disproven? Similarly, one may ask why many people cling to the theory of creationism when we have solid scientific evidence to support evolution. For some people, the notion that “we came from monkeys” is insulting and offensive and clashes with their existing belief system. The story of creationism is a foundation of Judeo-Christian religions, and (at least in its literal interpretation) is incongruent with Darwin’s theory of evolution. The same is true with psychological theories. Many people who have been trained in psychodynamic or relational approaches feel that the new science runs counter to everything they have been taught and undermines the type of treatment they practice. They cling to their theories and defend them with religious fervor. The new science threatens their religion. The problem here is that psychology is not a religion; it is a science. In the United States, we all enjoy freedom of religion – the freedom to believe whatever we wish and practice any religion we choose without persecution. We should not have freedom of science. As experts in the field of psychology with doctoral-level degrees, we should not have the freedom to write and publish whatever we happen to believe, and practice whatever method of treatment we wish, without accountability. I was a graduate student relatively recently (2001 – 2008), and I was taught many things in my training that I no longer believe to be accurate. This is not a failure of my training; this is a reality of an evolving science. New developments occur in medicine all the time, and physicians who have been in practice for 20 years have had to learn and re-learn new ways of practicing as the science of medicine has evolved. This is expected. It is taken for granted by most patients. Here is the problem – this is not group therapy. We cannot sit around and validate one another’s feelings and hold hands and sing Kumbaya. Yes, all people are equal, but all ideas are not equal. Some ideas are supported by reliable scientific evidence and others are not. There may not be one right way to treat eating disorders but there are many wrong ways, and there are methods and techniques which clearly work better than others for most people. We must let go of unhealthy, dysfunctional attachments to old ideas. Clearly, these attachments to antiquated theories contribute to the development of unhelpful psychotherapy. Perhaps today’s unhelpful psychotherapy is an attempt to validate one’s early training. Over the past two years, I have had an influx of very young girls with Anorexia Nervosa (AN) come to me for treatment. This trend mirrors recent media coverage of the rise in AN among pre-teens. When I tell friends and acquaintances about my work, they are shocked and horrified to learn that many of my AN patients are between 9-12 years old. The typical response is first incredulity, then a remark about how “sad” it is that little girls are under such pressure to be thin and perfect. I am not sad about this at all – in fact, a very young child presenting for AN treatment represents an ideal scenario. Let me explain. First, there are no good data to support the popular notion that the prevalence of AN has increased over the past few decades (in contrast, the prevalence of bulimia nervosa and binge eating disorder has skyrocketed in recent decades, but that is beyond the scope of this post). Most data in fact suggest that the incidence of AN has remained constant throughout recorded history. Second, we do not yet know how to prevent AN, nor do we know whether AN is possible to prevent. We do know that children are being diagnosed with and treated for AN at much younger ages now compared to a generation ago. Research has also shown that the prognosis for AN is inversely correlated with age and duration of illness prior to the start of effective treatment. In other words, the younger the patient, the better her chance for full recovery. The 5th and 6th grade girls who are diagnosed with AN today would most likely have developed AN anyway, but in previous generations the illness would not have been triggered, diagnosed, or treated until later in adolescence, when it is more difficult to treat. Therefore, I view younger age of onset as a positive thing. AN is triggered by an energy imbalance – that is, a period of time in which a person’s caloric intake is lower than her body’s energy needs. My theory is that kids are developing AN at younger ages because there are more opportunities for energy imbalance to occur in younger children now compared to generations past. 1.) National hysteria about the “obesity epidemic” and well-intentioned but misguided government programs aimed at children. Children who are predisposed to AN tend to be anxious, sensitive, perfectionistic, rigid, and overly compliant with rules. These are the kids who actually take the “obesity prevention” messages to heart and follow them to the letter. They avoid “unhealthy foods” (e.g., those high in calories) in favor of “healthy foods” (e.g., those low in calories and fat), thus creating a negative energy balance and triggering AN. The irony here is that it is very unhealthy for a growing child to eat a low-fat or restricted-calorie diet. This generation of children tends to enter puberty earlier than their parents or grandparents. The hormonal changes of puberty, combined with the increased energy needs of the pubertal growth spurt, provide a perfect opportunity for a negative energy balance. Add to that the tendency of girls to begin dieting to counteract their body’s pubertal changes to conform to the thin ideal, and you have a perfect storm. 3.) Participation in intense athletics at younger ages. It used to be that athletically-inclined kids did not begin intense athletic training until high school. These days, 6-year-old kids begin practicing for their sport multiple nights per week and traveling to games on the weekends. These kids have extremely high energy needs, as they must consume enough food to fuel their sports in addition to keeping up with normal growth and development. Kids who are predisposed to AN are not able to eat enough to fuel their body’s needs. Further, thinness is considered an advantage in many sports such as gymnastics, track and field, cross country, dance, cheerleading, and diving. The modern lifestyle is fast-paced, rushed, overscheduled, and pressured for all of us, even children. Every time I listen to an elderly person talk about their childhood, I am struck by how different life was in the 1940’s and ‘50’s and how much more laid back things were for children then. Stress can trigger loss of appetite, which creates a negative energy balance, which can be the beginning of AN in a vulnerable child. 5.) Decrease in family meals. For a number of reasons, including busy schedules, families are eating together less often now. If a young child is responsible for fixing her own breakfast, packing her own lunch, or microwaving her own dinner, it is much easier for her to skip meals or restrict her food intake without her parents knowing. 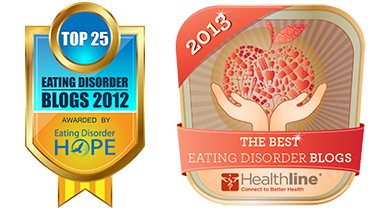 In most cases, pediatricians are the first healthcare professionals to spot (or miss) early signs of an eating disorder. I cannot count the number of patients I have seen whose pediatrician was completely unconcerned by a child or adolescent’s weight loss or failure to gain weight. They will often say things such as “Don’t worry, she’s still in the normal weight range for her age” or “she could lose 10 more pounds and still be fine.” Even worse, many pediatricians will congratulate a child for losing weight. It is as if pediatricians have become so consumed with “fighting childhood obesity” that they have forgotten that kids are supposed to grow and gain weight from birth until age 20. Weight loss is not normal or healthy for any child or adolescent. Generations ago, people understood this, and any weight loss in a child was cause for alarm. You know how grandparents always want to feed you a lot, and say “you’re looking thin” as if it were a bad thing? 2.) Fear of fat, drive for thinness, and body dysmorphia – which are considered the hallmark cognitive symptoms of AN – are often absent in young children. Eating provokes extreme fear and resistance, but they often cannot articulate why. 3.) Young children are more likely to present with dehydration as well as malnourishment. Whereas teenage anorexics drink large quantities of water, diet soda, and black coffee, little kids sometimes cannot grasp the concept of calories. Many little kids with AN will fear and avoid anything that enters the mouth- including water, gum, vitamins, and medicine. 4.) Teens and adults with AN usually have a list of “safe foods” which are low calorie and low fat – such as salads, fruit, rice cakes, and nonfat yogurt – and they tend to fear high calorie foods such as ice cream and pizza. However, sometimes young children’s food rules and food fears make no caloric sense. For example, I have worked with children who will willingly consume any beverage, including milkshakes, but who refuse to take a bite of solid food, even a carrot stick. Other kids will have a narrow list of safe foods which are familiar but not low-calorie (e.g., chicken nuggets, pop tarts, and grilled cheese sandwiches). 5.) Young children become medically and mentally unstable much more quickly than teenagers. Post-pubescent teen girls and women, even slender ones, start out at a higher body mass and have reserves of fat. Prepubescent children are already light and very lean. A loss of even a few pounds is enough to cause severe medical problems and extreme cognitive distortions in a child. It is not uncommon for a child to go away to summer camp completely healthy and return three weeks later in grave danger. 6.) It is easier for young children to externalize their illness. They often describe feeling “taken over” by a voice or by some evil force beyond their control. They love to name their illness and refer to it in the third person, unlike teenagers who tend to balk at this exercise, or who experience their illness as more ego-syntonic. My young patients have come up with various names for their illness – the monster, the beast, the devil, Scary Larry, and Voldemort are a few that come to mind. In my experience, young children tend to make a full recovery more quickly and more easily than teens or young adults. Because they fall into AN so quickly and because they are still so dependent on their parents, they are brought into treatment very early in the course of the illness. Their AN thoughts and behaviors are not as engrained as, say, a 16-year-old who has suffered from AN for two years. Young children are more dependent on their parents than teens. Thus, it is far easier for both parent and child to adjust to the “magic plate” technique of parents preparing and supervising all meals and snacks – this is not so different from what most parents do for their healthy 10-year-olds anyway. It is extremely difficult for teens and especially young adults to accept the amount of parental support and supervision required for successful re-feeding. I love treating little girls with AN. Each time I get a call from a terrified parent whose little girl who is showing signs of AN, I breathe a sigh of relief, grateful that they have come to my attention so early in the course of the illness. Although these children and their families are in for a harrowing journey, I have complete confidence that they will defeat the monster. These kids can enter their teen years fully recovered and able to enjoy high school and college unencumbered by this horrible illness.